An ALT webinar on the potentially foolish date of 1st April 2014 invited participants to consider findings from the JISC Digital Student Project. The study explored students’ expectations and experiences of their digital learning environment. It reviewed existing research including survey evidence from institutions, as well as conducting original interviews and focus groups. This article reports on the main messages from the webinar. It starts with the findings from the Digital Student Project then summarises the group work activity which took place in the webinar. The webinar heard from the study team about students’ expectations and experiences of the digital environment at university. The environment was taken to include access to networks, devices such as desktop computers and printers, software, and IT support. They found that students typically draw on experiences outside of university to make sense of what they are offered. These experiences include provision at school, use of social media, commercial digital services and experiences at home and work. While these experiences vary across social and cultural settings, students on the whole expect their transactional relationships with the university to be well supported by digital services and for their personal digital preferences to be met. For example, most students expect ubiquitous and universal access to a robust wifi network; access to facilities such as plug sockets, storage space and a variety of suitable working areas; and support for using their own devices and services on campus. They expect to sign on to digital systems as part of their enrolment, and for these to work relatively seamlessly with their existing services and devices. Students also expect up-to-date course information and for at least some elements of their course work to be supported through a virtual learning environment that they can access away from campus. Universities that fail to meet these transactional expectations are penalised when it comes to student satisfaction ratings, and students’ ability to settle into university is compromised. Separately the team considered how students experience the transformational aspects of learning in a digital setting: how they use digital resources and data more widely and how they express ideas in digital media; the use of subject-specialist software and systems; the role of personal devices to record and revise; and the learning interactions that take place in digital spaces. Expectations in this area they found were not established until students were some way into their course of study, when they were strongly influenced by course teams and by their conversations with other students. The study team conclude that universities can play an active role in shaping students’ expectations and therefore their experiences and level of satisfaction with digital technologies as enablers of learning. These conversations go beyond students general ideas about the digital environment, which mirror what they might expect of other organisations. Adding more detail to this picture, Dave White reported that students arriving from school expect the learning environment to be largely didactic and teacher-led, including in its digital aspects. The VLE is seen as a source of prescribed content rather than a space of discussion and collaboration or a jumping-off point for independent research. Access to ‘academic’ content e.g. via the library catalogue and e-journals is regarded as a sign of a quality experience, while exposure to digital technology in the classroom/lab/field is regarded as a sign of teaching staff competence. As the national curriculum no longer mandates the use of particular software suites such as MS Office, students have a range of views about what constitutes technical competence on their own part, but they are generally inclined to rate their competence highly. Other research confirms that both students and their teaching staff tend to over-estimate students’ ICT proficiency. Helen Beetham went on to outline some of the findings of the consultation process. Experienced student representatives were asked to imagine a supportive HE environment for the future, and given prompts and resources to help them to so. They drew a picture of ubiquitous connectivity and data exchange, in which students had constant access to their own learning environment, constructed from a blend of institutional and personal services. Regardless of students’ preferred interfaces (and ideas about this were often quite visionary!) useful content would always be ‘a blink away’. 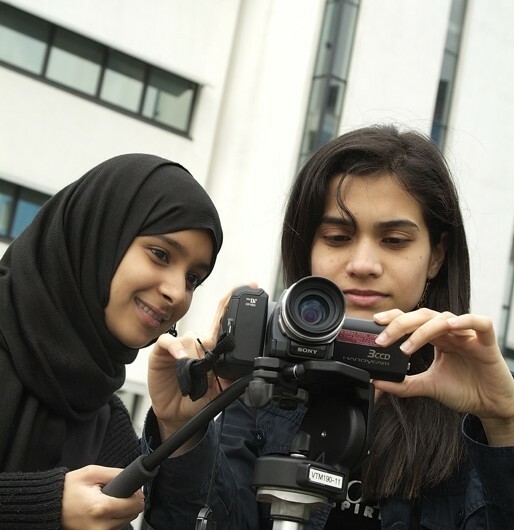 Students would undertake continuous digital recording of their experiences and use this as a resource for learning, review, and to showcase their achievements. Formal (closed, private) and informal (open, public) learning they imagined becoming more integrated, and they thought a detailed learning record could be used to provide more tailored and personalised experiences. This exercise showed that students with experience of learning in HE could usefully be involved in imagining and prioritising developments for the future. The study also looked at how universities collect, manage and analyse information about students’ digital practices today. While many institutions survey arriving students, and some do follow-up work such as focus groups and ideas development with student reps, there was an appetite for more national-level horizon scanning and guidance. Institutions feel they are struggling to keep up with students’ changing digital practices on the one hand, and on the other hand do not prepare students to study effectively with the technologies they have today. staff confidence with digital technologies and with associated pedagogic practices. Dealing with all of these challenges involves engaging learners in meaningful dialogue, in shaping as well as responding to their expectations, and in preparing them for a more diverse digital environment than they are used to. The study team touched on ideas about working in partnership with students, as well as on practical issues such as the use of data analytics and qualitative methods to gather information about students’ current practices. The second half of the webinar was given over to group work in which participants considered four key questions arising from the study. The question ‘what do we still need to find out about students’ expectations and experiences of the digital environment?’ yielded some interesting information about how institutions are already working with students. Many undertake annual surveys, often looking at students’ satisfaction with existing provision such as the VLE, lecture capture, ICT support. Some look at more general issues in students’ digital practice e.g. use of social media and personal devices. Surveys often focus on specific groups of students, and/or on students in transition, and because different aspects of the digital environment are ‘owned’ by different services, survey results are not always shared or responded to in an integrated way. From this (small) group it seems that surveys are viewed positively as a means of gathering information about students at scale. Information gathered from e.g. focus groups and interviews was considered harder to analyse and harder to draw general conclusions from. However, it was acknowledged that survey ‘fatigue’ can set in, and incentives such as prize draws (e.g. for an iPod) have been used with some success. (b) a positive effect – a positive relationship between investment in the digital environment and students’ overall levels of satisfaction. Opportunities for engaging students in developing aspects of the digital environment were discussed, particularly in relation to the Jisc funded Summer of Innovation work. Participants in this group also considered whether FE colleges might be ahead of HEIs with regards to student engagement, for example through discussions around students’ individual learning plans (ILPs) which provide an opportunity to explore expectations and prior experiences. The FE sector also engages in events such as ‘Learner Voice’ conferences which provide opportunities to have these conversations collectively. 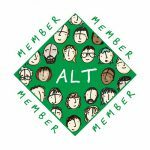 Similar conversations in HE might take place in one of the emerging networks such as the Jisc supported Change Agents Network or at a smaller scale in local student rep meetings and in library/IT user groups. Open days and focus groups were also considered. Many universities are now working with student ambassadors and change agents, a role which can include digital aspects of study. This group was asked to consider what institutions should prioritise in order to better meet students’ expectations, and to outline some responses at the level of the digital environment, access and support. They concluded that it was important also to focus on teaching staff and to ensure they understand how to use facilities available in the digital environment to enhance the experience of learning. Without this expertise, staff will struggle both to support students effectively and to communicate to professional staff how the digital environment could be developed further. Echoing some of the challenges identified by Group One, this group discussed whether institutions should standardise the digital environment to some extent by providing students with a common tablet device on entry. Would this (does this?) promote innovation on the part of teaching staff, or at least provide a threshold of expectation about digital engagement that staff are encouraged to meet? There were arguments against: for example that affordable tablets could not offer all the functionality students need for subject-specialist work, that there would be considerable on-going risks and costs, and that the quality of the chosen device might be taken by students as indicating the ‘quality’ of the institution. With all of these issues it was considered valuable for institutions to compare current practices and to share plans for future development, for example via existing organisations such as UCISA and ALT. ‘Experience to explore their own presence and to develop their digital footprint’. It is interesting that most of the suggestions went beyond accredited course work to include aspects of digital and professional reputation-building. It was clear that the ‘experiences’ that institutions should be developing in digital spaces should be transformational, though with the proviso that incoming students need to feel secure in in their learning identities before they undertake activities that are too public and demanding. The overall aim is to use the ‘between’ spaces afforded by digital media to help students become legitimate practitioners in their field, and to generate valued outcomes of study that could be visible in the wider digital environment and relevant to their next life-stage. A recording of the webinar is available, along with online materials for download and reuse by institutions. 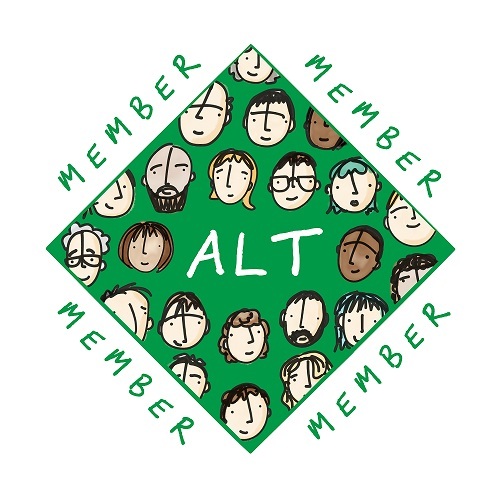 ALT members are warmly invited to take part in the final consultation event on 16th July in Birmingham: click to find out more and register. Jisc and its co-design partners (UCISA, SCONUL, RLUK and RUGIT) are now supporting a consultation phase – to which this webinar has contributed – which will inform guidance to institutions and further actions at national level. A parallel study and consultation process is also taking place in the FE and Skills sector.